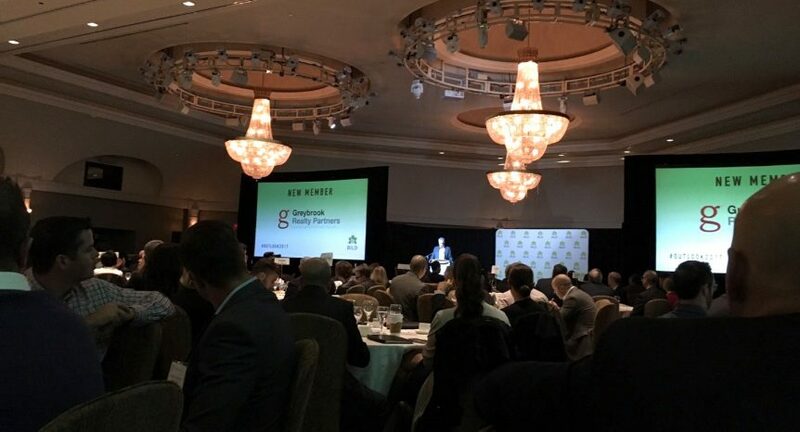 Greybrook Realty Partners was announced as one of the newest members of the Building Industry and Land Development (BILD) Association of the Greater Toronto Area at their annual Economic and Housing Outlook Breakfast. Attended by representatives from throughout the real estate industry, Outlook 2017 provides a platform for industry experts to discuss the economic and housing outlook for the upcoming year, providing their thoughts on emerging development trends, the effects of fiscal fluctuations and more. Greybrook is thrilled to be part of such a well-respected and knowledgeable organization like BILD and we look forward to sharing more from Outlook 2017. Stay tuned for additional coverage.